Glass trays make every space more beautiful! 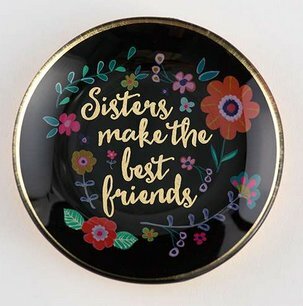 This round tray features gold foil details, original artwork and the heartfelt sentiment, "Sisters Make the Best Friends"! 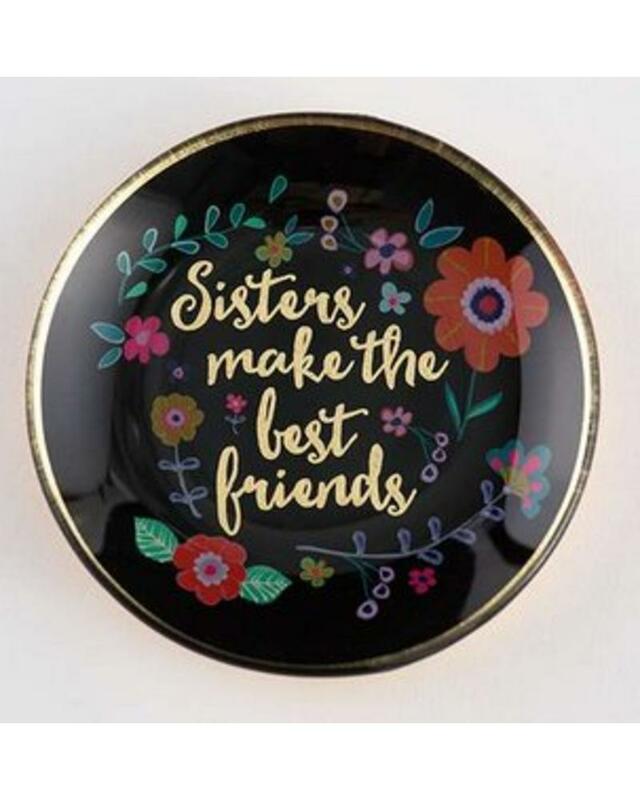 Perfect for holding jewelry, coins and other small treasures!